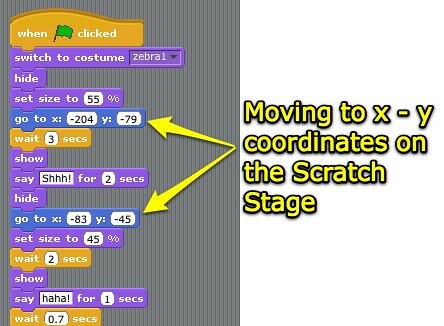 Moving at the Speed of Creativity | Amazed by Student Creativity Using Scratch! Amazed by Student Creativity Using Scratch! My first student to share in class uploaded two different projects to her account on the Scratch website, and also blogged about her experiences. Her first project, shown in the image below, was a basic story that used different backgrounds which she changed for us by pressing different keys. She wasn’t sure how to make the backgrounds change automatically, so that was something we discussed and explored together in class today. Another student was inspired by the recently uploaded Scratch project, “The Monster Mash AMV,” which includes a complicated set of scripts and sprites to create a clever music video animation. 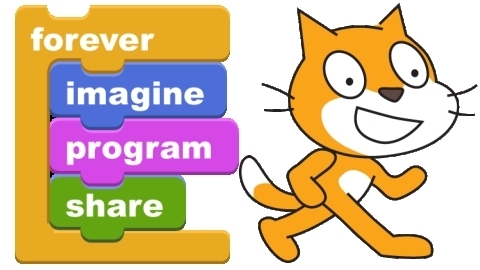 The big surprise we had today in class was learning that once someone in our computer lab logs into their Scratch account, ANYONE in the lab visiting the Scratch website is automatically logged in as their userid. This appears to be a security flaw in the way the Scratch website authenticates, and the way our lab computers are setup. I’m not sure if this is happening because our lab computers share the same global IP address, or for another reason. It reminds me of Firesheep, although that particular FireFox extension is NOT in use / to blame for this security problem. Not all my students are thrilled and excited with Scratch YET, and a common comment now is, “This is hard!” It is hard, but it’s also cognitively challenging and fun. I’m looking forward to more learning together about Scratch on Wednesday! 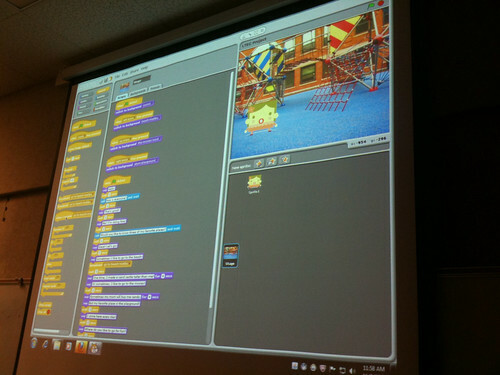 One Response to Amazed by Student Creativity Using Scratch! I have used this program with my 8th grade students – I was amazed with what they did and created. The http://www.learnscratch.org tutorials were great and so were the suggested lessons/projects. I will definitely use this again. I could have extended this from a 3 week lesson to a whole semester. Awesome program!!! !